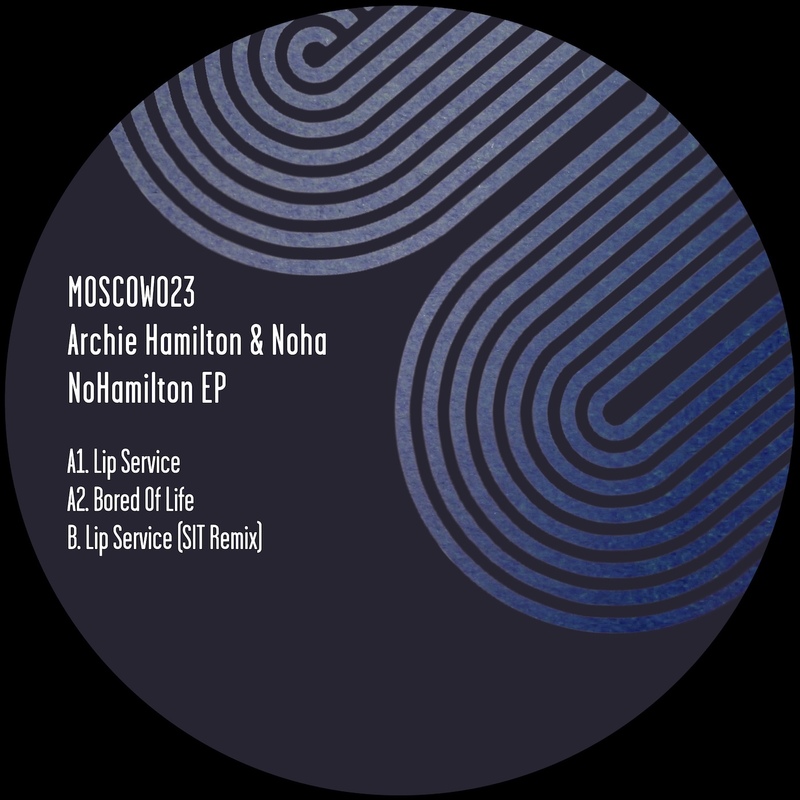 A consistent source of clued-in house and techno, Archie Hamilton’s Moscow imprint has been feeding discerning fans of electronic music since 2010. During that time, the London- based producer has supported established and up-and-coming names alike, those more often with a focus geared towards the dancefloor. The label’s latest offering comes from Hamilton himself, who teams up with Panick Panick! label owner Noha, offering a collaborative EP that is a fitting snapshot into the work of both individuals. 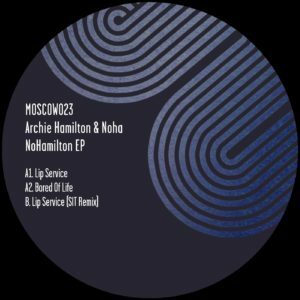 The NoHamilton EP gets underway with ‘Lip Service’, a rough-and-ready track with firm emphasis on a grinding, hypnotic loop that easily surpasses your average DJ tool. Highly finessed and progressing steadily, it’s the perfect example of how to do less with more. Looking towards more sun-kissed planes, the duo deliver the EP's A2 track, a more heads- down cut that’s loaded with good-time grooves from the get go. Sure to work a charm whenever it’s unleashed, ‘Bored of Life’ serves up an intriguing insight into both producers’ boundless studio output. Romanian duo SIT culminate matters with their ‘Lip Service’ rework. Consisting of Cristi Cons and Vlad Caia, the pair have been excelling consistently, with both their Resident Advisor mix and latest release on the iconic Sushitech label proving a potent reminder of this. Taking the listener down the rabbit hole once more, they inject Archie Hamilton & Noha's original with an eerie sheen, also adding an off-kilter baseline that’s hard not to get lost in. A suitably groove-led but unconventional interpretation, it closes off the EP with the sort of distinction we’ve come to expect from Moscow.